In the third quarter of 2017, £824 million of property wealth was accessed through equity release plans – a figure 44% higher than the same period last year. The Nationwide Building Society has now become the first major high street lender to offer lifetime mortgage products priced from 3.8% and divided into four tiers, based on loan to value (LTV). The over 55s are estimated to hold as much as £1.8 trillion in property, but their mortgage borrowing choices have previously been limited. One of Nationwide’s lifetime mortgages will offer the choice of rolled up interest, with the loan being repaid when the customer dies or enters long-term care. Rolled up interest means that interest will be charged on top of interest, and customers must take independent financial advice before taking out a lifetime mortgage. Nationwide will allow new and existing customers who might otherwise have had to sell up to remain in their homes until they or the second borrower (if there are two) have moved into long term residential care or died. The loans are available on a main residence of up to 46% LTV, and the amount available to borrow is dependent on age, the size of any current mortgage and whether it is a single or joint application. The loan will enable people to access their capital and use the funds in their property for any reason: help with day to day living, home improvements, buying a car or even helping other family members with a house deposit. Equity release is increasingly being viewed as a mainstream retirement finance option. 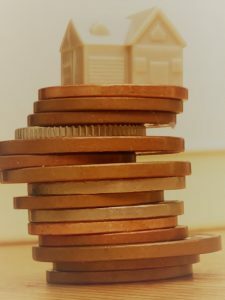 Perhaps encouraging older people to release equity funds in order to help younger family members enter the property market – without affecting their own living arrangements – could be the answer many people have been waiting for?